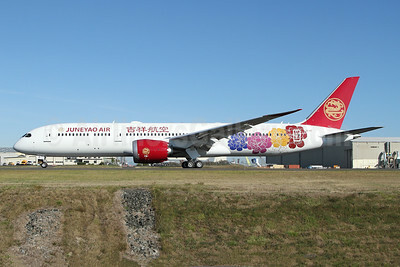 (Juneyao Airlines Company Limited) (HO/DKH) (Shanghai) 2006 - Current. Photos. Framable Color Prints and Posters. Digital Sharp Images. Aviation Gifts. Slide Shows. Juneyao Air Boeing 787-9 Dreamliner B-208A (msn 64314) TPE (Manuel Negrerie). Image: 945403. 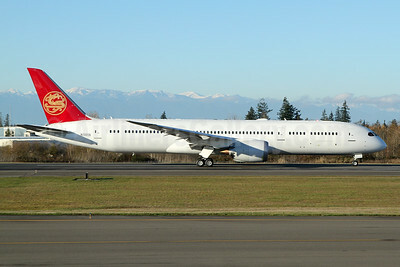 Juneyao Air Boeing 787-9 Dreamliner B-1115 (msn 64312) PAE (Nick Dean). Image: 943660. 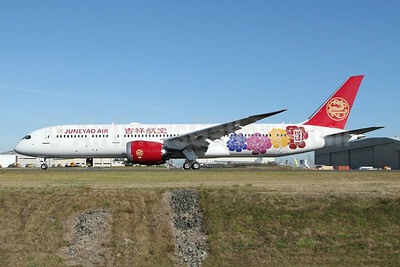 Juneyao Air Boeing 787-9 Dreamliner B-1115 (msn 64312) PAE (Nick Dean). Image: 943661. Juneyao Air Boeing 787-9 Dreamliner N1005S (B-208A) (msn 64314) PAE (Nick Dean). Image: 944691. Juneyao Airlines Airbus A320-214 B-6640 (msn 4064) SHA (Yuji Wang). Image: 920490. Juneyao Airlines Airbus A320-214 B-6717 (msn 4401) SHA (Yuji Wang). Image: 920491. Juneyao Airlines Airbus A320-214 B-6901 (msn 5070) SHA (Yuji Wang). Image: 921052. Juneyao Airlines Airbus A320-214 B-6922 (msn 5071) HKG (Javier Rodriguez). Image: 939382. 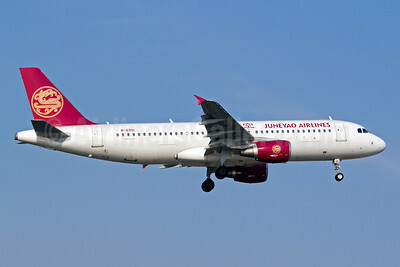 Juneyao Airlines Airbus A320-214 B-6966 (msn 5131) TSN (Michael B. Ing). Image: 939399. 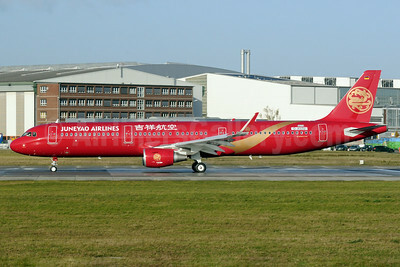 Juneyao Airlines Airbus A320-214 F-WWDN (B-6396) (msn 3605) TLS (Karl Cornil). Image: 905966. 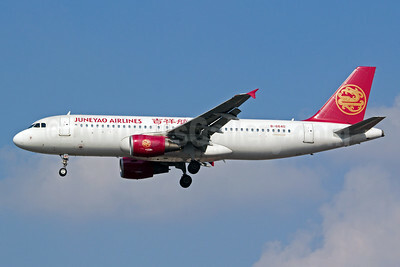 Juneyao Airlines Airbus A320-214 WL F-WWBH (B-8536) (msn 7116) TLS (Paul Bannwarth). Image: 933309. 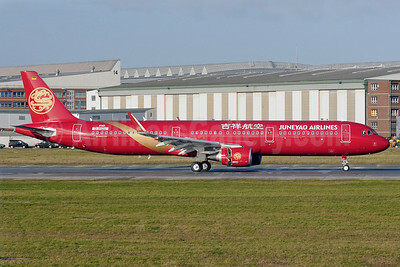 Juneyao Airlines Airbus A321-211 WL B-8407 (msn 6916) TSN (Michael B. Ing). Image: 939383. 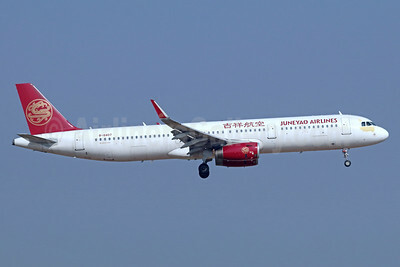 Juneyao Airlines Airbus A321-211 WL D-AVZU (B-1808) (msn 5876) XFW (Gerd Beilfuss). Image: 921053. 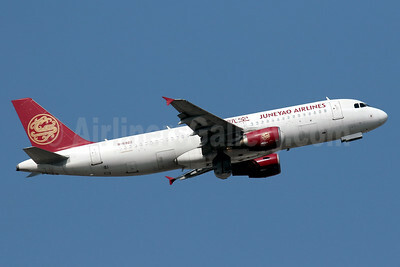 Juneyao Airlines Airbus A321-211 WL D-AVZU (B-1808) (msn 5876) XFW (Gerd Beilfuss). Image: 921054. 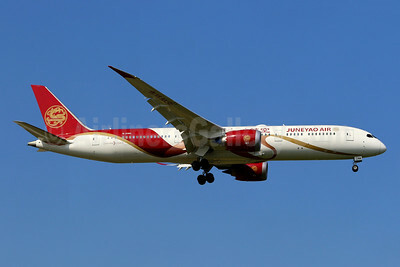 Juneyao Airlines Co., Ltd is a wholly owned subsidiary of Juneyao Group, targeting at middle-to-high-level official, business and private tourism markets. 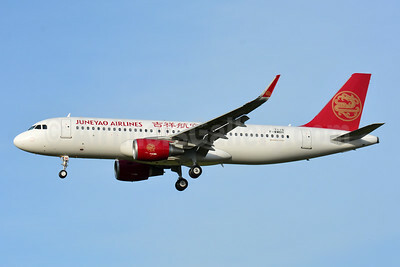 Juneyao Airlines started its inaugural flight in September 2006 and became the first Connecting Partner of Star Alliance in May 2017. 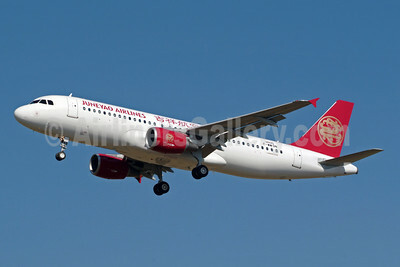 As of today, Juneyao Airlines owns 67 brand new Airbus A320 series aircrafts whose average age is only 3 years. In 2017, Juneyao Airlines have carried over 16 million passengers. Based in Shanghai and Nanjing, Juneyao Airlines operates 110 routes linking major cities in China as well as surrounding countries. It will further launch intercontinental flights after receiving Boeing 787-9 Dreamliners in late 2018. As one of the fastest growing carriers in China, Juneyao Airlines will continue its steady development under the guidance of the "HVC - High Value Carrier" strategy; and it will strive for introducing high value, efficiency and emotion to customers.